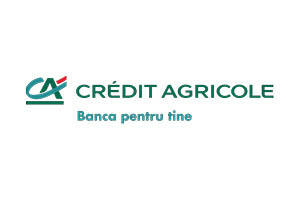 Crédit Agricole Bank Romania, banca pentru tine! Crédit Agricole Group is one of largest international banks offering the full range of services: day-to-day banking, savings, home and consumer loans, insurance, private banking, leasing and factoring etc. At Crédit Agricole Bank Romania we focus on enforcing the high professional standards of the CA Group, making sure that the reputation, quality of service and proactivity are norms in our daily activity. We are a retail bank and when defining our products we take into account your needs and your busy schedule and we continuously look for ways on how we can provide fast, easy and secure services. Our online banking services, the mobile (m-conect) or internet (i-conect) banking provide an ideal combination of value (aprox 25% lower fees) and convenience (fast, easy, accessible at any time and from anywhere). Another value added service offered almost exclusively by our bank is the multicurrency facility, more exactly the possibility of accessing multiple accounts using a single card. We serve our clients through our branches, dedicated SME Business Center and our Corporate Division and our array of services includes: salary package, consumer and housing loans and corporate financing, savings, internet banking, monetary funds transfers and other financial services.